Enjoy the experience of a stages route with our most affordable proposal. Divided in stages of just over 100km, the route offers the same spectacular scenery with a plus of time to stop to admire them. 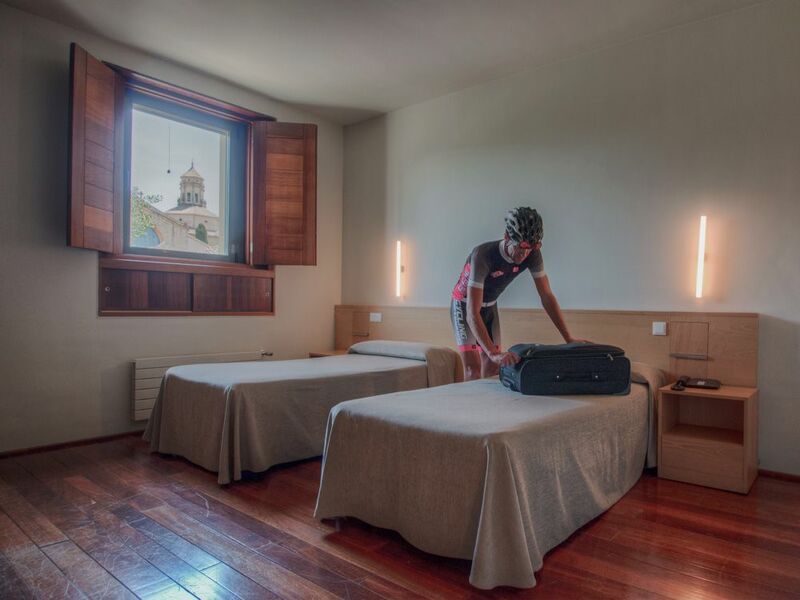 We highlight the exclusive accommodation for this format in the Hostatgeria de Poblet. Complete the challenge alone or accompanied on the dates you choose. The length of the stages will allow you to wake up quietly at any time of the year, starting a bit later during the coldest season. Longer afternoons will allow you to fully enjoy the selection of accommodations we have prepared and everything that surrounds them. 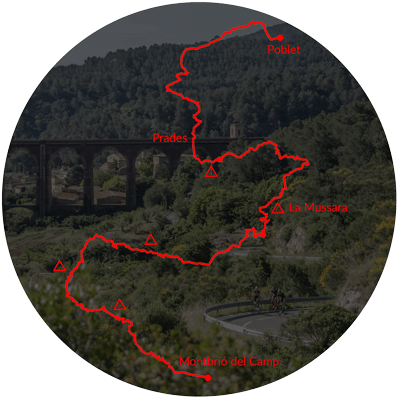 In the first and hardest of the three stages we crown a total of 5 climb including La Mussara, which will take us to over 1000 meters of altitude above sea level. 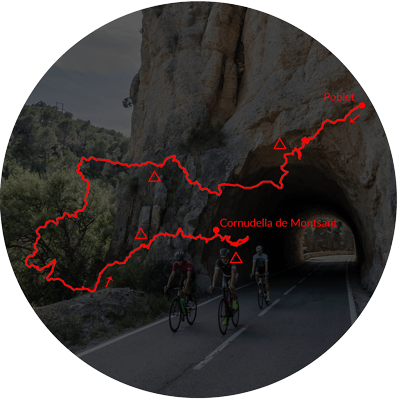 An incredible route that runs through the mountains of the Costa Daurada to leave us in the Muntanyes de Prades. With end in the Monasteri de Poblet, we find an accommodation full of cultural heritage. A quiet atmosphere where neither the noise of the television can disturb your rest. The visit to the monastery in the afternoon is mandatory. With an elevation gain similar to the previous stage, this second day awaits us with 5 more climbs, being the Coll de l ‘Arena the first of them. The Crestes de la Llena give way to the Natural Park of the Montsant, where the little traffic and the secondary roads take still more protagonism. The passage through Escaladei prepares us for the ramps of the Nen no Ploris, point from which we descend to the place where we spend the night, Cornudella de Montsant. But be warned, the beautiful medieval village of Siurana awaits us, located at the top of a hill and with the Pantà de Siurana at its feet. The third stage gives us a bit of rest to finish our great challenge. With 1900 meters of slope and the shortest length, the slope is distributed mainly between 3 mountain passes. A downhill start prepares us for a very steady and constant first climb to Escaladei, which we visit for a second time but from a different side. 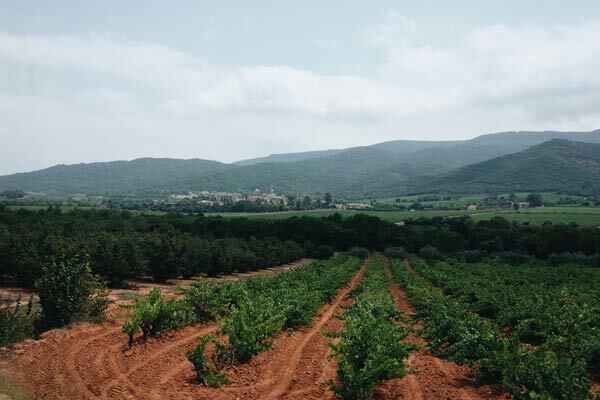 The roads leading to the El Molar stand out for their landscapes full of vineyards and seasonal fruits. After going through the famous Colldejou we prepare for the last ascent of the route, the Castell d ‘Escornalbou. As it could not be otherwise, we end up with three ramps at 16%. Congratulations, you did it. Book now your place to enjoy a unique experience completing your biggest challenge. 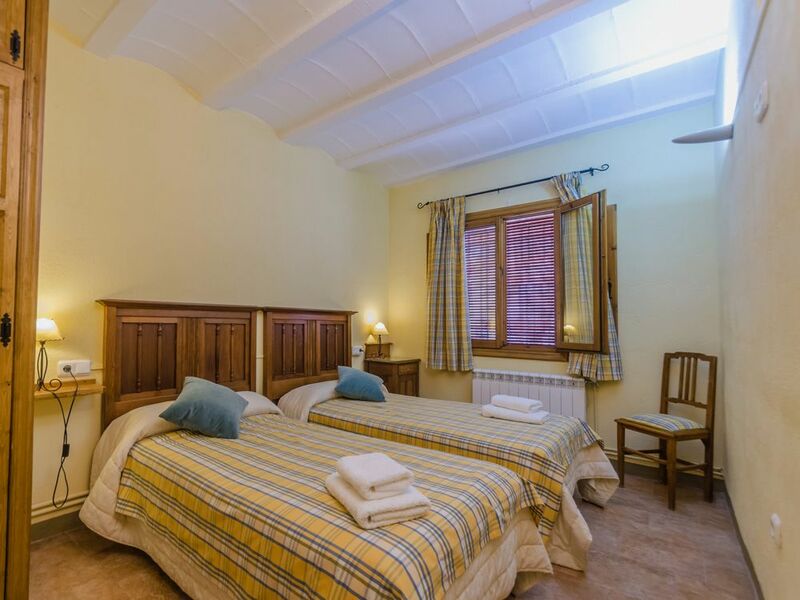 This charming hotel is situated on the main street of the town of Montbrió del Camp. Fully equipped, this accommodation offers maximum comfort in the day before the first stage, even with swimming pool in the warmest months. Remember that your stay includes dinner at the Candia Restaurant, just 20 meters far. Located in the grounds of the Monestir de Poblet, this guest house mixes modern and austere style. The tranquility and sobriety of the environment take an absolute protagonism, and the cultural heritage we find does not cease to amaze. Its careful restaurant awaits us with a varied menu, and the quiet room limits us to our thoughts… the TV is nonexistent while unnecessary. This restored three-storey country house is fully integrated into this village of the Priorat, and offers maximum comfort with an equipped kitchen, a living room with wi-fi and spacious rooms. The rooms have private bathroom and the house has a communal garden. Register yourself at the Hotel Sant Jordi where you will receive your welcome pack and the supplies of the first stage. Menu supper with first and second to choose in the Restaurant Candia, just 20 meters far from the hotel. Buffet breakfast at the hotel. Leave your luggage at reception. Free time of departure. Consider your arrival time at the next hotel. Register yourself at the Hostatgeria de Poblet. Your luggage and a new pack of supplies await you in the room. For your comfort menu supper with dishes to choose from in the same hotel. 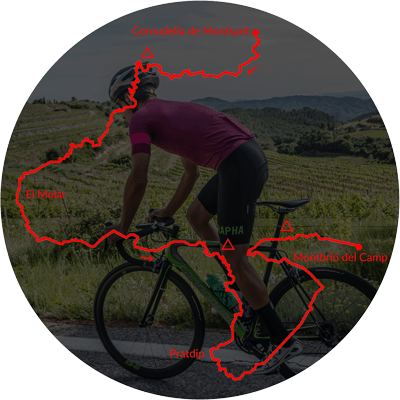 Register yourself at Cal Giral 2, in Cornudella del Montsant. Your luggage and a new pack of supplies await you in the room. Supper at Lo Refugi, very close to the accommodation. Have a shower at the Hotel Sant Jordi. Pick up your finisher gift and luggage. All year round pricing. You choose dates.